Chef Bata started his culinary journey a bit later in life. He studied accounting for two years before an option to relocate to Las Vegas opened up, compelling him to move in a different direction. He enrolled in the Culinary Arts Program at Le Cordon Bleu, Las Vegas, combining two of his favorite passions; art and food. While studying at Le Cordon Bleu, one of his instructors provided him the opportunity to work in the bakery at Treasure Island Hotel and Casino under some very talented bakers and pastry chefs. The opening of a new, high-profile restaurant, Social House, and a few fortuitous conversations with their pastry chef, Ralph Perrazzo gave Matt his start as a prep cook under head chef Joseph Elevado and Ben Dayag of Nobu. He also worked alongside other talented chefs including sushi chef Kouji Yamanashi and then sous chef Marc Zimmerman. Under their tutelage, Matt quickly rose up through the ranks of the kitchen and, after 2 years, became sous chef of Social House's sister restaurant, Company, under their newly appointed executive chef, Marc Zimmerman. Matt accompanied Chef Zimmerman to San Francisco in 2010 as opening sous chef of Alexander's Steakhouse SF. He was exposed to the finest ingredients Northern California has to offer and during the next four years he gained a solid understanding of the direction he wanted to go as a chef. Chef Bata finds inspiration through multiple channels and usually when he least expects it. He refuses to limit himself to a specific cuisine, ingredient or technique, preferring a more "global" approach to cooking. 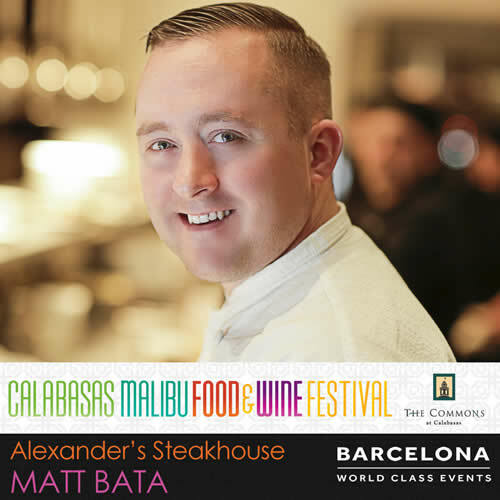 As Chef Bata makes the move south to Pasadena, he looks forward to building relationships with a multitude of companies specializing in providing the best quality ingredients from local farms and around the world. He will continue to strive for the very best from himself and those around him, to never settle, to always be creative and, most of all, to EAT!